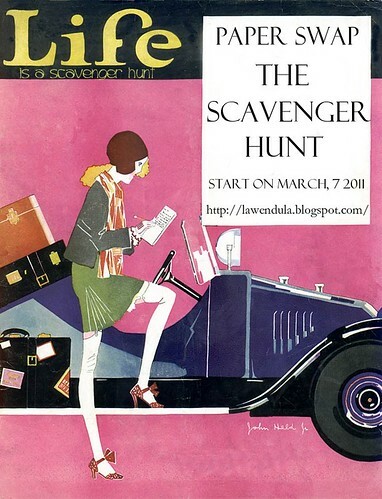 This is a very special paper swap in March: The Scavenger Hunt. It's a challenge, but don't be afraid, it's so much fun! Looking forward to have you in! Include me ! It will be great to receive some surprise papers! this sounds like fun, i would like to try! i found your blog through mescrap studio.